There are many recognized benefits of honey for humans; as raw honey has anti-inflammatory, antibacterial and anti-fungal properties. Honey is also naturally high in enzymes, antioxidants and flavonoids, containing essential nutrients and vitamins. Furthermore, it is proven to kill anti-resistant bacteria including MRSA. Honey has been used by people around the world since ancient times because of its benefits, and it is non-toxic to dogs. With some direction it can be used to treat allergies, heal wounds, aid with digestion, ease up kennel cough, prevent ear infections, and soothe itching. That said, it is imperative to make sure that the HONEY used is 100% RAW and pure; meaning that it is unheated, unpasteurized and unprocessed, without any additives such as corn syrup or sugar. 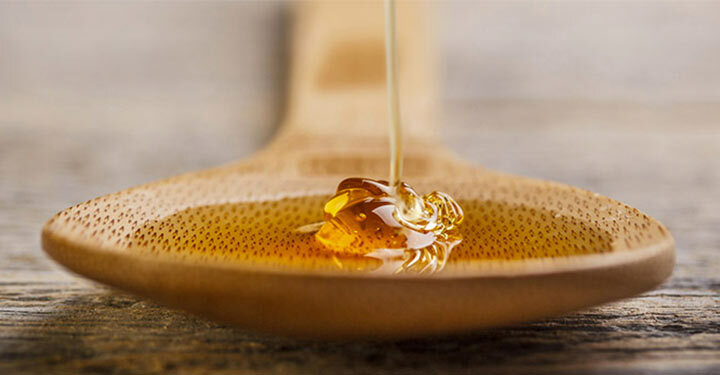 Processed honey that has undergone a heating process will loose most of its properties. A way to ensure you get the best quality is to buying from trusted local sellers or acquire Manuka honey. This is honey from Australia and New Zealand collected from bees that pollinate the native manukabush, proven to have many healing qualities. Farmers markets in your area are most likely to carry raw honey. As for specific directions on how to use honey for allergies. If you think pollen is causing the allergies, a small amount of local bee pollen/honey should reduce your dog’s allergic reaction. Since every dog and cause for allergy is different, this might have a positive effect in some dogs, and none in others. Just keep in mind the honey has to be from local hives so that it contains small amounts of the local pollen that are causing your pet’s allergies. Many breeders and kennel operators use honey as a Neosporin-type wound dressing. 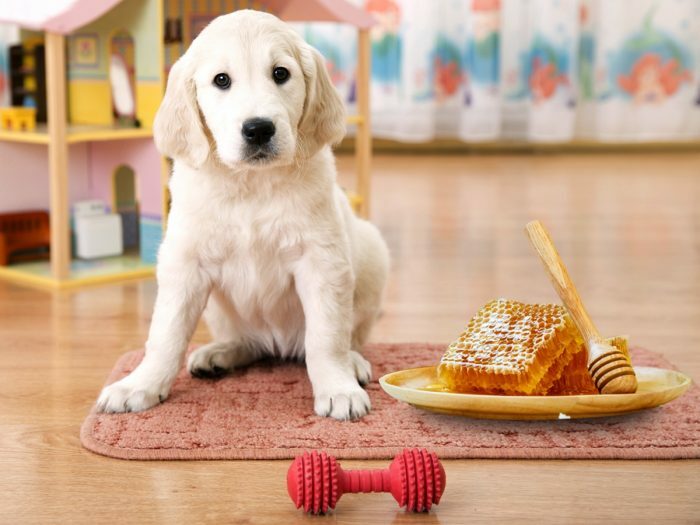 If a dog has a small cut, bite, scratch, burn, etc., they apply the warm raw honey directly onto the wound, and then wrap it up so the dog won’t lick the honey off. The disinfectant and antibacterial properties help the wound heal, and the thickness of the honey helps create a barrier until the wound heals. When using honey topically for itching, add a small dollop (size of a dime) of honey into your dog’s shampoo to moisturize the skin and coat. Vets recommend a small doses of no more that one teaspoon a day for whatever use you are giving the honey. Too much honey can result in tooth decay and extra calories that lead to obesity. Dogs with cancer and diabetes should not be given honey without discussing with your holistic veterinarian. Keep in mind that just like with babies, puppies should never be given honey as it could lead to botulism. Please always refer to you vet. for any medical advice.